Looking for a good dentist in Pagewood? The closest dentist to Pagewood is the Sydney Smile Centre, but you also have dentists in the Westfield at Eastgardens and many other choices in Maroubra- 17 to be exact! Why choose Dr Jamie Workman to be your new dentist? 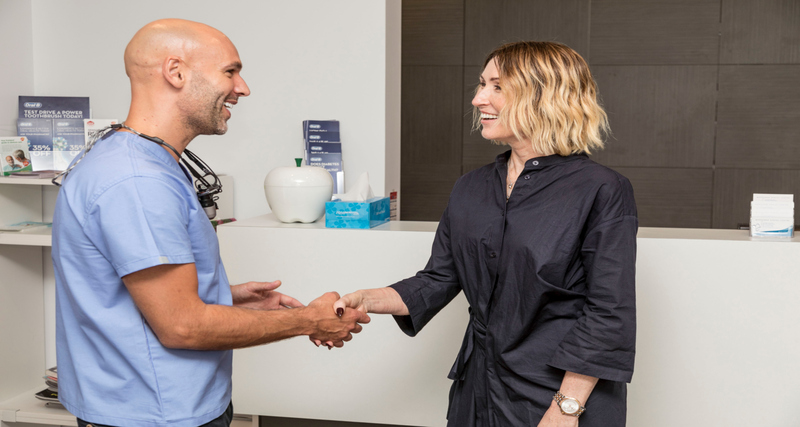 Dr Jamie’s reputation for putting people at ease, and as an excellent dentist is well known by his Maroubra patients; he is highly practised in the field of facial injectable procedures as well as being a trainer for AADFA. Patients always comment just how well looked after they are and, mostly importantly, how confident they are in his abilities. When you first meet him, you’ll get the comforting feeling that you’ve chosen a great professional to look after you and your family (if you have one of course!). One of the most important traits in a dentist (aside from their actual dentistry) is their honesty and integrity; ensuring that you understand what procedures need to be carried out, why, the costs involved and how to prevent such problems occurring again. With this empowered level of care, you will end up in control of your own ‘dental destiny’, especially when compared to dentists who simply treat you like a number, insist that they are the expert and they know best (although, to be brutally honest…often they do! ), but most importantly, do not inform you of ‘all’ your options and the costs involved…until after the procedure. Dr Jamie has a very loyal following of families and young professionals and his reputation grows mainly on word of mouth referrals. Dr Jamie Workman is a cosmetic and family dentist. He has a special interest in treating children and providing minimally invasive cosmetic treatments. He offers a full compliment of routine treatments including check ups, tooth coloured fillings, gum treatment, crowns and bridges, root canal and dental implants. Cosmetically, he performs teeth whitening often together with dental bonding, or porcelain veneers to help reshape and dramatically improve people’s smiles. As a trainer with the Australasian Academy of Dento-facial Aesthetics, he trains dentists in safe and effective techniques for anti-wrinkle injections and dermal fillers. He provides these services in his clinic as well as a full compliment of facial rejuvenation techniques including micro needling, chemical peels, and thread-lifts. If you are looking for a dentist, are nervous about treatment, or looking for a ‘special’ dentist for your children, you will be hard pushed to find a more caring, approachable, and professional dentist, who puts your wishes and your ‘pocket’ first. Highly trained in communication skills, he loves treating children, and has an uncanny ability to establish trust and teamwork… getting them through most treatments with smiles on their faces. His energy and enthusiasm will ensure (as much as one can), that your child can grow up actually liking the dentist and develop good habits that will see a future with minimal problems. Please feel free to also check out his Patient Education Web-site – ‘jamiethedentist.com’ for detailed advice on dental treatments, conditions, and preventing problems. Our favourite things to do in Pagewood? Pop into Eastgardens Westfield for a bit of shopping and then hit a few rounds of golf at The Lakes Golf club or Bonnie Doon. 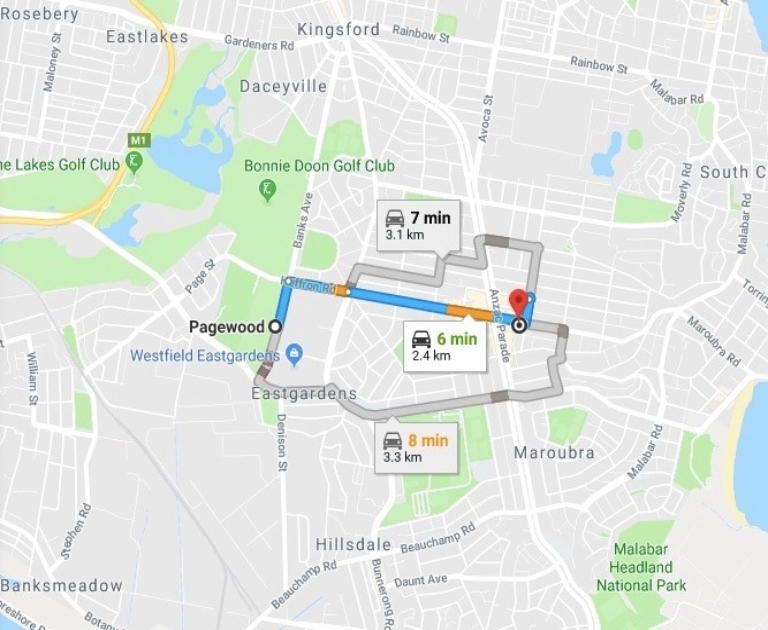 Pagewood is a suburb in Southern Sydney, located just 8 kilometres south of the Sydney CBD and named after the late Mayor of Botany council in 1929 Fred Page.